In the Hebrew language, a “word” is called a “teivah,” which also means box or container. Words are the way in which people contain and express their thoughts and ideas. How difficult it must be for a person who struggles to get his words out! The very vehicle of thought and communication is disrupted. 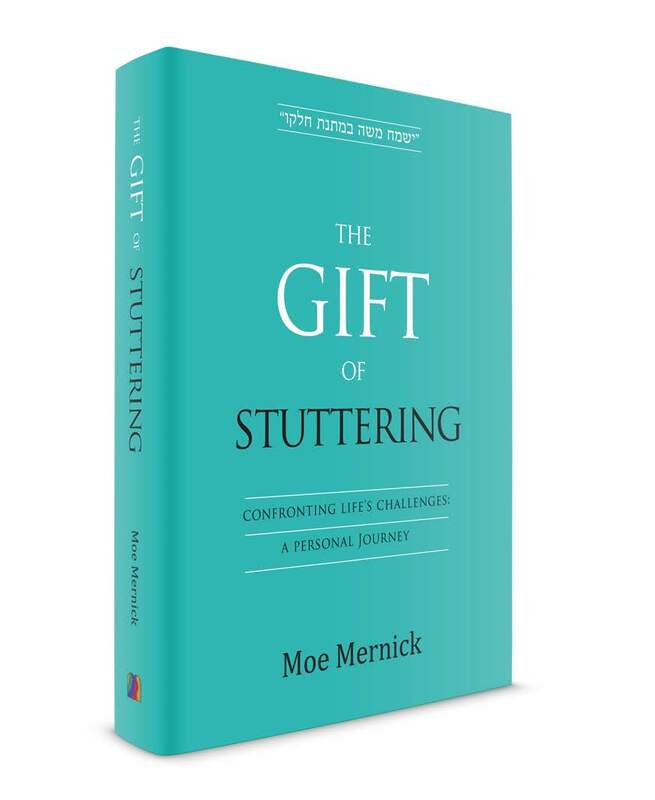 The Gift of Stuttering is Moe Mernick’s part memoir, part self-help book of how he learned to manage life as a stutterer. Moe speaks with insight and poignancy of how stuttering took over many aspects of his life at an early age. In fact, his name Moe was a purposeful choice to shorten his given name Moshe to one syllable, in order to reduce the chances of stuttering. A bright child, Moe developed avoidance strategies at an early age to forestall experiencing the social embarrassment of getting stuck on his words. For example, if he saw that he was soon to be called on by the teacher, he would ask to go to the bathroom to time his escape. Much of his early life revolved around various tricks to anticipate and avoid situations where he might be stuck stuttering. One of the strategies stutterers instinctively employ is to swap words. That is, they plan ahead while talking, and when they anticipate a word that might be difficult to pronounce, they switch to a synonym. That is precisely why for stutterers, leading prayers or reading from required texts—and the latter happens often in yeshivah—leads to even more anxiety. One cannot switch a word in the text for another! One stutterer quoted in the book describes his life as constantly negotiating a room, knowing there is a deep hole somewhere in the floor, but never sure where he might trip and fall. The stutterer is always trying to avoid speech obstacles but is never quite sure what will happen next. Much of his early life revolved around various tricks to anticipate and avoid situations where he might be stuck stuttering. Moe had loving, supportive parents, and of course several forms of speech therapy and treatment were employed, to varying degrees of success. Moe gently rebukes the profession for one important oversight—the focus on cure instead of acceptance. He references a study by the National Stuttering Association which found that the number-one factor in a successful life with stuttering is changing one’s attitude toward speaking. And this is where Moe’s approach begins to take shape. Moe realized that choosing to accept his stutter, and facing his anxiety head-on, was the key. Through a series of life changes and personal development, he began to work on changing his pattern of avoiding speaking and social situations, and instead, accepting the possibility that he might stutter. This, by the way, is the evidenced-based treatment approach to anxiety disorders—Exposure and Response Prevention (ERP). ERP is a deliberate, gradual process to expose oneself to the anxiety-inducing event, behavior or thought, and mindfully refrain from the usual avoidance behavior. Although Moe was not necessarily curing his stuttering, he brilliantly and intuitively found a way to manage the secondary social anxiety that his stuttering caused. Of course, the more accepting he became of his stuttering, the less anxious he felt and the less likely he was to stutter. 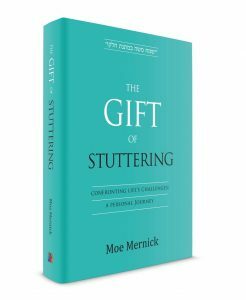 Moe notes that stutterers never stutter when talking to themselves; therefore, social anxiety must play a part in the stutterer’s challenge. Total and radical acceptance was Moe’s courageous approach. Once he came to a place of acceptance, his process of prayer changed. Instead of praying intensely, begging God to eliminate his stutter, he would end his prayers acknowledging that if God felt it was important for him to bear this challenge, God would grant him the strength to bear it. This process of acceptance allowed him to tackle one of his greatest fears: speaking in public. While attending a college class that required participation, Moe faced his fears and spoke at appropriate times, accepting the possibility of stuttering. This strategy of acceptance worked on many levels: it allowed Moe to live with the reality, focusing his prayers and his relationship with God in a manner that expressed his belief that his situation was meant for a purpose. Moreover, it actually reduced his anxiety—which, in turn, led to less stuttering! Eventually, Moe spoke at public venues and would share with the audience from the get-go that he might stutter. Today, Moe lives in Israel with his family, and is a successful entrepreneur and motivational speaker who delivers seminars across North America, as well as in Europe, Israel and Australia. Moe’s courageous story and personal advice is a superb and inspiring guide not only for stutterers, but for anyone who faces a personal social challenge. Rabbi Simcha Feuerman, LCSW-R, maintains a private practice specializing in high-conflict couples and families, and addiction in relationships. He also serves as president of Nefesh International. This article was featured in Jewish Action Fall 2018.